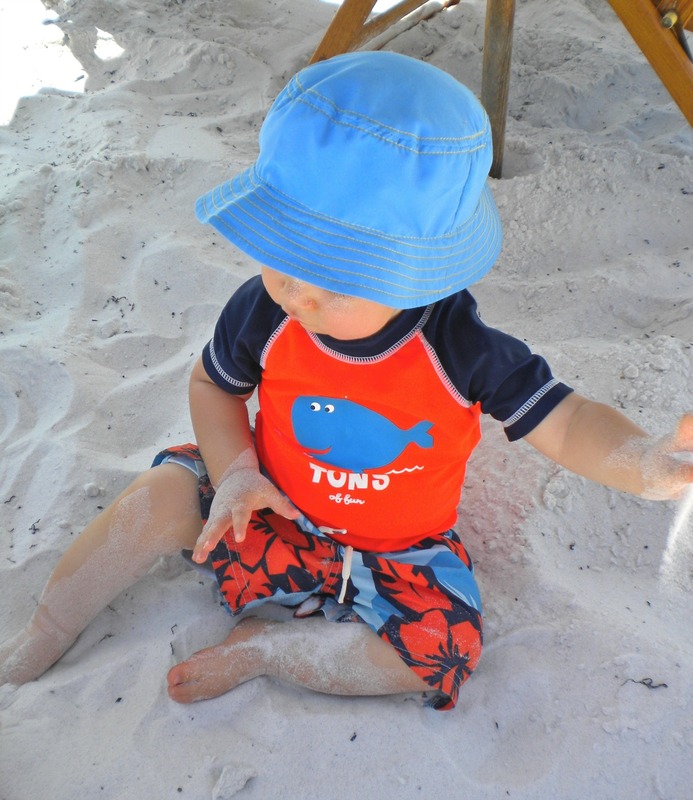 Sun protection clothing for kids helps protect the sensitive skin of children from the damaging effects of UV light - whether it's a temporary sunburn at the end of the day or the long term effects that lead to skin cancer in later years. "Epidemiologic evidence suggests that ultraviolet radiation (UVR), from sun exposure and sunburns during early life, is associated with increased risk of melanoma and other skin cancers in adulthood." 1. Most people don't apply sunscreen soon enough. Applying enough sunscreen to provide adequate protection is often a problem especially with kids who are wriggly and eager to get to the beach or to the water. Those who use a sunscreen spray are even at greater risk of applying too little. Sunscreen needs to be reapplied every 2 hours and after swimming, sweating or drying off with a towel states HealthyChildren.org. Many sunscreen ingredients, like oxybenzone and retinyl palmitate are harmful and may contribute to hormone disruption and allergies. 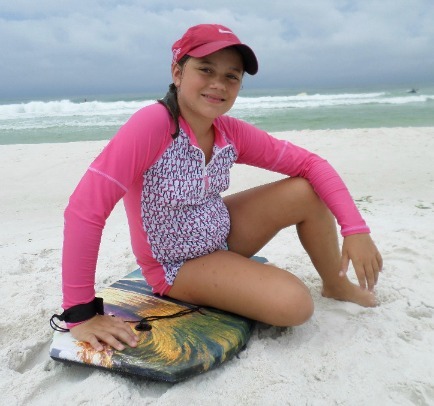 Reduce the amount of sunscreen lotion applied to your child's skin with long or short sleeve rash guards or sun protection swimsuits. Find out how to choose the best sunscreen for kids with safer ingredients. "Summer sunburn was the norm among US youths ages 11 to 18. 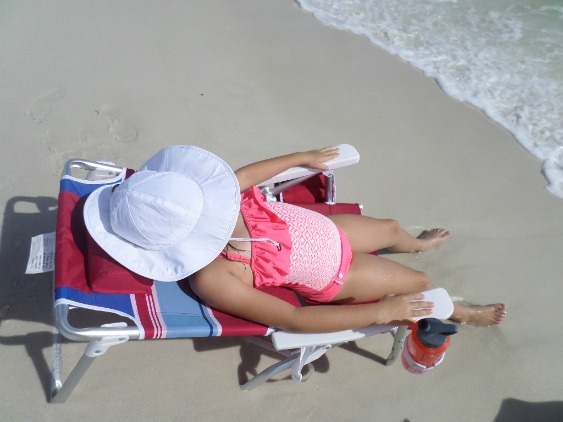 The high frequency of sunscreen use during the sunburning episodes suggests the need to educate youth and parents better about proper use of these agents, as well as the importance of practicing other sun protection behaviors, such as wearing hats and protective clothing and avoiding the sun during peak exposure times. " Depending on your child's skin type, such as fair skinned or sun sensitive, the need for a higher Ultraviolet Protection Factor (UPF) number means better sun protection. Other factors to consider when purchasing sun protection clothing for kids is how long they will out in the sun and what time of day. Sunburn prevention should be your goal for any beach trip. 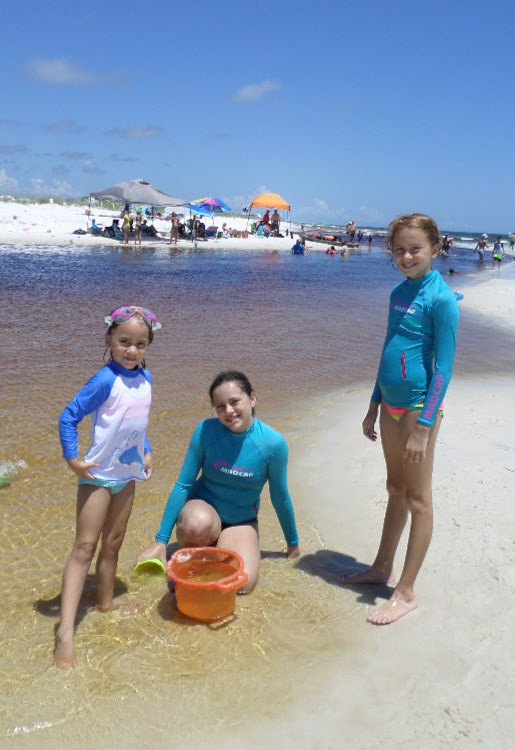 UV protection swimsuits come in a variety of styles - as a one piece or two piece swimsuit or you can buy a short or long sleeve rash guard that can be worn by themselves or over a swimsuit. 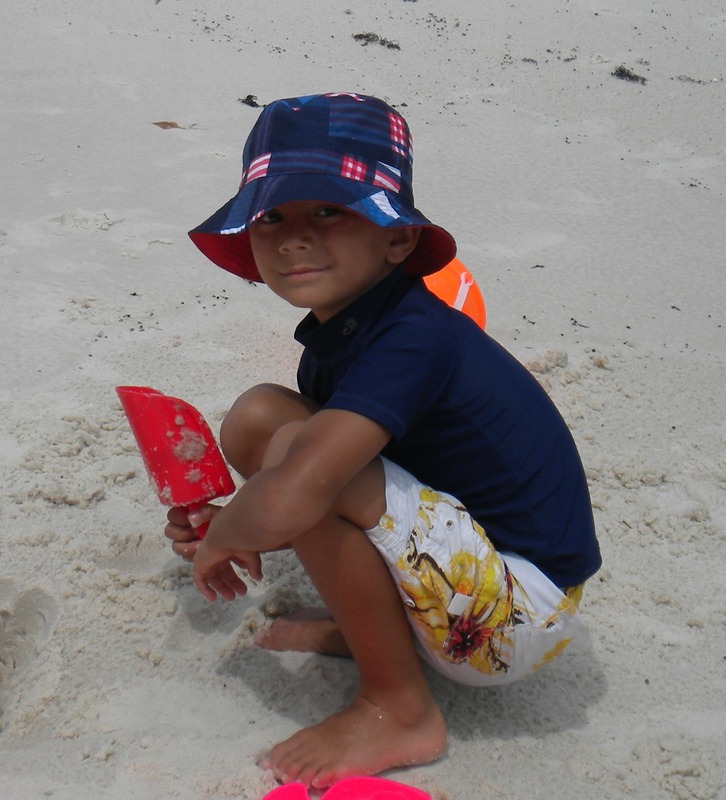 Boys can wear a plain t-shirt which will provide some protection from UV light, but UV protection clothing with an Ultraviolet Protection Factor (UPF) rating will give you the added assurance that the most frequent places for sunburns like shoulders, back and neck are covered. This toddler boy's set includes a long sleeve rash guard and swimsuit for less than buying just the rash guard. It has a UPF of 50+ and can be worn in the sand or the water. 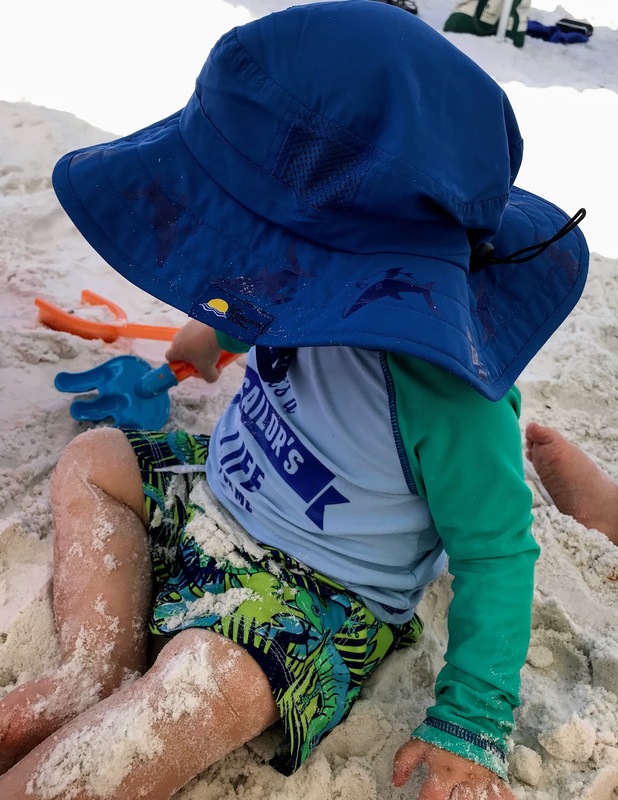 Your first day at the beach requires extra vigilance using a triple protection strategy of UV protection clothing, shade from a beach umbrella or canopy and sunscreen with safer ingredients. 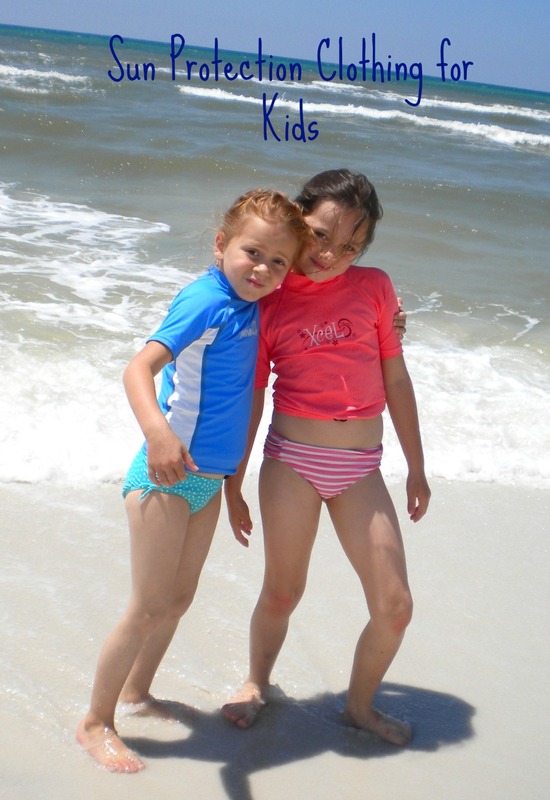 Most sun protection clothing for kids have an UPF rating of 50+. 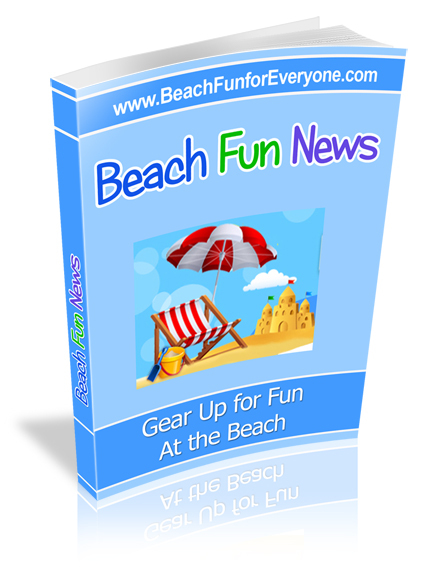 UV protection swimsuits for boys can be purchased as a one piece swimsuit, a two piece that includes swim trunk and a rash guard, or as a one piece long or short sleeved rash guard. As you can see in just about every picture the kids have on a wide brimmed hat to protect their face. Find a style that appeals to your child so that the hat will be worn all day. Wearing a hat does not mean sunscreen shouldn't be applied to the face, it's just an added way to protect the face from UVA and UVB rays and from getting sunburned. Neither a beach umbrella or hat can protect from UV rays bouncing off the sand or water. We purchased this set of 2 sun protection hats for our two toddler grandsons. However, these beach hats can fit most children between the ages of 3-10. The velcro strap made it easy to adjust to each child. A wide brim (2 3/4") protected not only their face but the back of the neck as well. With a UPF of 50+ use these hats as an added strategy to protect the face. 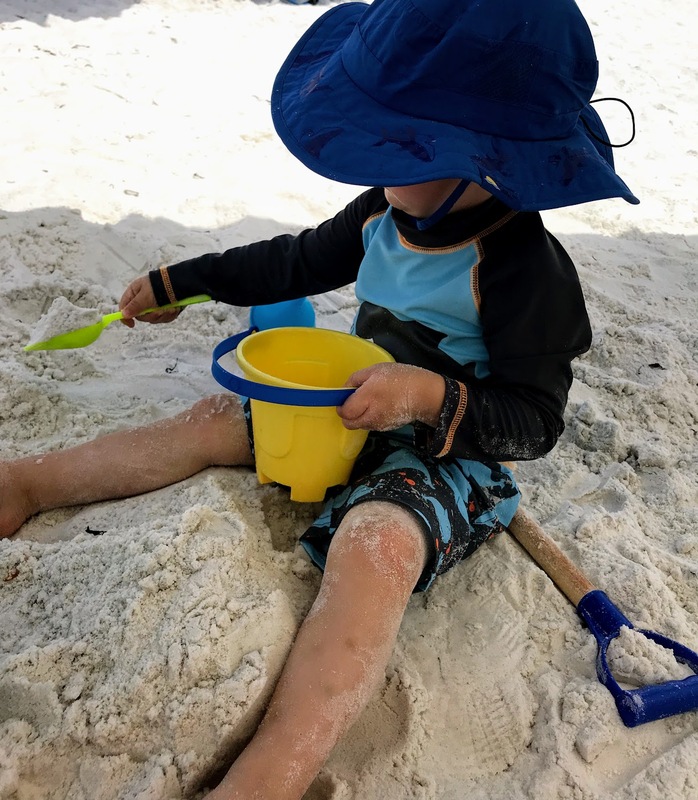 Other strategies for sun protection for children include using a large beach umbrella or canopy for playing in the sand or enjoying a break from the water. Avoid the sun during the hours it's the strongest which is 10:00 AM-3:00 PM. 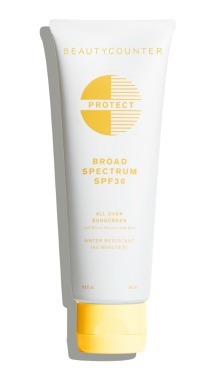 When we go to the beach during the summer, we have often used this sun protection strategy. Thanks to a group of early risers, we take the children to the beach in the morning, around 7:30 and head back to the house for an early lunch. Since we still have some nappers, we use their nap time to prepare a picnic supper and head back to the beach around 4:00 missing the hottest times of the day. Evenings and sunsets at the beach may quickly become your favorite time to enjoy the water and the sand with a bit cooler temps and less intense sun. Remember even on cloudy days skin needs to be protected as 80% of the sun's UV rays come through the clouds as well as bounce up from the sand and water.